Extreme weather events, such as Cyclone Idai that has recently devastated Beira, Mozambique, and Hurricane Harvey that hit Houston, USA, in 2017are the types of climate extremes that cities increasingly have to prepare for. Cities, particularly those with extensive informal settlements in the developing world, are being hit hard by these new climatic realities. Although rapid onset disasters often have devastating effects, slow onset climate events, such as drought, can also be detrimental. Cities need to build their capacity to adapt to this range of impacts. One of the best ways to do this is to learn from other cities' experiences. Drawing lessons from other places that have gone through climate crises is a good way to guard against future shocks and stresses. 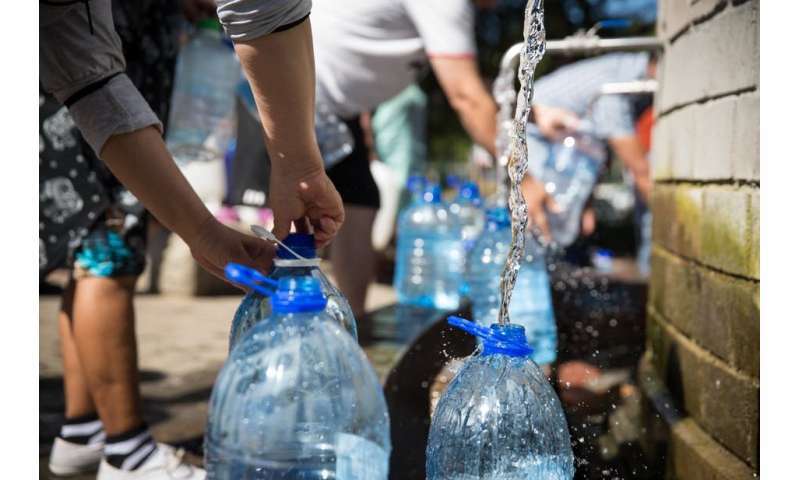 One very recent case that cities around the world are watching is Cape Town's severe drought and the threat of "Day Zero" – when the city's taps were due to run dry. Although the city came close to having to turn off the taps, they managed to avoid it. After better rains in 2018 and significant reduction in water use across the city, the dams are now reassuringly fuller than they were in 2017 and 2018, although caution is still needed ahead of the winter rains. A lot has changed and it's important to reflect on and share. I conducted research to establish some key lessons to be drawn from the Cape Town drought. I found that local governments must focus on several important areas if they're to strengthen urban water resilience and adapt better to climate risk. These include improving data collection and communication, engaging with experts and enabling flexible adaptive decision making. And, crucially, I found that governance must be strengthened. Although three years of low rainfall lead to very low dam levels, there were breakdowns in the interaction between national, provincial and municipal government that exacerbated the problem. The research suggests that effective water management requires systems of mutual accountability between spheres of municipal, provincial and national government. In South Africa, the national Department of Water and Sanitation is responsible for ensuring that there's sufficient bulk water available, often in dams, that can be transferred to municipalities. The municipalities are then mandated to provide clean drinking water. This means that intergovernmental coordination across the spheres of government is vital. As it stands, different spheres' mandates overlap. This creates confusion and means the buck is often passed: one sphere of government will insist a particular competency isn't its job, and hand the work on to another sphere. For this to be resolved there has to be clarity on shared responsibilities and roles, as well as the development of mutual accountability. To achieve this, technical skills, personal and institutional relations need to be strengthened. This requires strong leadership. Collaboration within municipal departments also needs to improve. The Cape Town drought highlighted the importance of this. Before 2017, there was limited collaboration between city departments on water issues. During the drought however, collaboration between certain departments increased considerably as the complexity of the crisis became clear. Not only is collaboration within government important, it needs to extend beyond government. During a crisis, all of society needs to be engaged, including citizens and the business sector. Technical expertise need to be balanced with opportunities for a broader group to share its perspectives and concerns. Partnerships can help gather the range of perspectives and support needed to respond to complex problems. Municipalities which, during the course of their normal business activities, have developed strong relationships with their stakeholders, will be better placed to respond effectively to a crisis. That's because they will be able to harness stakeholders' collective knowledge and contributions more easily. In Nelson Mandela Bay, the Business Chamber has done this by strengthening relations with the municipality to help to facilitate the ease of doing business in the city. They recognise that all businesses require electricity, water, transport and logistics, for example, and so focus on improving these areas. The municipality developed task teams made up of volunteers from their member companies who have skills set in those areas. Importantly, there is an agreement that the Metro places high level executives to sit in the task team meetings to ensure plans are put into practice. These types of relationships can be invaluable during a crisis. While my study focused on Cape Town, its findings can be applied to other cities that want to strengthen their ability to adapt to climate change. Yes, cities need to pay more attention to how climate variability impacts on their resources, particularly water. But just as important is strengthening the governance of the water system. A well adapted city is one that understands who is responsible for what and has strong trust and partnerships between and within government. In order to build capacity to adapt, new types of skills are needed. Local government needs to pay more attention to how to build partnerships, enable flexibility and support learning. These are the types of skills needed for a well adapted city, but still often lacking in local governments. What can other cities learn about water shortages from Day Zero?